James Comey testified on Capitol Hill in May 2017. WHAT JAMES COMEY has to say about Donald Trump is utterly believable. What he has to say about himself — not so much. And that’s a major problem for a self-proclaimed messenger of truth. 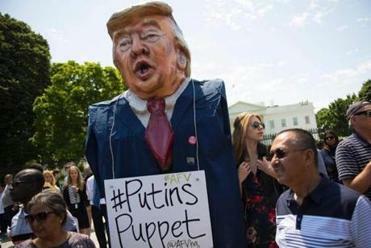 Americans already know their president well as a crass, ego-driven liar, with bouffant hair and slightly orange skin, except for those weird white patches under his eyes. In his interview with ABC’s George Stephanopoulos, Comey admits his own longstanding “battle with ego.” What he doesn’t admit are the consequences. In the heat of the FBI investigation into Hillary Clinton’s e-mail — Comey’s ego won. And with it, Trump. The truth is pretty simple. Comey worried how he would look to partisans on both sides of the bitter 2016 presidential election. 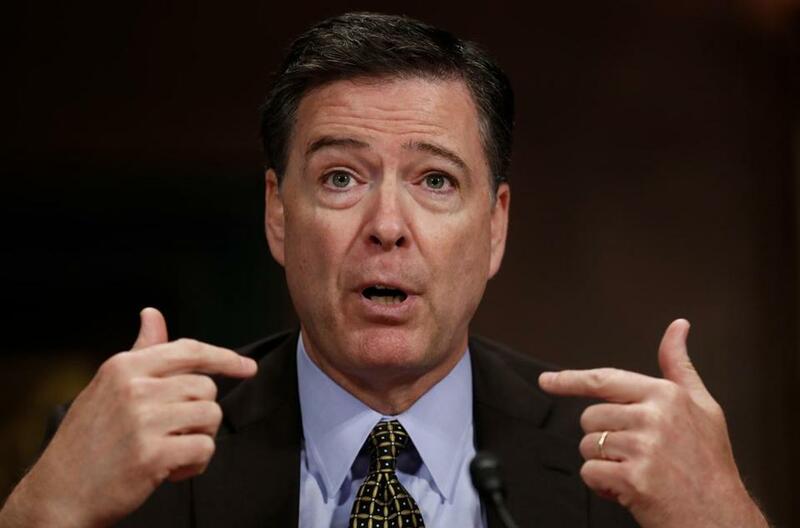 That’s obvious from his convoluted explanations to Stephanopoulos about why he decided to announce, in July 2016, that the FBI was not going to prosecute Hillary Clinton for the way she handled her e-mail as secretary of state; why he also felt compelled to say she was “extremely careless” in the way she handled it; and why, 11 days before the election, he decided to announce the FBI was reopening the investigation. Thanks to Trump’s honesty via social media, the world knows what the president’s really thinking. Yet “criminal behavior” is the purview of the FBI, and it’s not the FBI director’s job to find the right words to describe anything less. As for the reopening of the investigation after Clinton e-mails were found on Anthony Weiner’s laptop, Comey accepts the rationale offered by Stephanopoulos — that he “must” have believed Clinton would win and he didn’t want post-election questions about the e-mail investigation to threaten the legitimacy of her presidency. The ultimate outcome was an investigation so botched it angered everyone. That’s not evidence of fairness, as Comey wants us to believe. It’s just evidence of an FBI director unable to hold onto the higher moral ground he claims in his book. The pettiness of Comey’s revelations about Trump will sell books and entertain Trump-haters. They are credible enough, for Trump does nothing to disguise his boorish, mean-spirited moral bankruptcy. Meanwhile, Comey’s suggestion that it’s “possible” the salacious reports about Trump in the so-called Steele dossier are true is another sign of these Trumpian times. Will Congress step up after Comey firing?